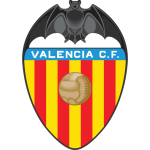 Valencia vs Villarreal predictions for Thursday’s Europa League fixture at Mestalla. After securing an excellent result in the first leg, the hosts will be hoping to progress without much of a fuss. Continue reading below for all our free tips and predictions. Even though Villarreal are struggling in La Liga, last week’s trip to El Madrigal didn’t look the most straightforward of assignments for the Bats, though they made it look somewhat easy, as they emerged with a 1-3 victory. Having won by two goals and having scored three away-goals, Marcelino’s men will go into this second leg brimming with confidence. They’ve won at this venue before, but it appears to be a long way back for the Yellow Submarine, who’ve given themselves something of a mountain to climb. It was the Bats who got the favoured result last week, though the game was far more even than the result would have us believe. 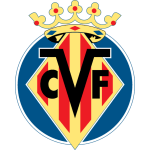 In terms of getting on the front foot, it was Villarreal who led the way, while the hosts certainly weren’t without chances, as they clocked six shots on target and 2.56 expected goals for. However, despite conceding slightly less in terms of chances, shipping 2.06, they looked far too easy to breach at the back. If this game was a standard league affair, then Villarreal may fare better, as it would be they who could rely on the break, much as Valencia did last week, though with the aggregate score-line the way that it is, the visitors have little choice but to go to Mestalla and attack. Playing on the front foot did allow them to create plenty going forward last week, but it also meant that they were caught out at the back. Valencia’s last home European match against Villarreal was back in May 2004 in the UEFA Cup semi-final second leg, winning 1-0 and progressing to that season’s final. Valencia have progressed from 29 of their previous 31 major European knockout ties when winning the first leg, with their last elimination of this kind coming in the Last 32 of the 2004-05 UEFA Cup against FCSB (2-0 first leg, 0-2 second leg – lost on pens). In three games against Villarreal in all competitions this season, Valencia midfielder Daniel Parejo has been sent off (September 2018), provided an assist (January 2019) and missed a penalty (April 2019).